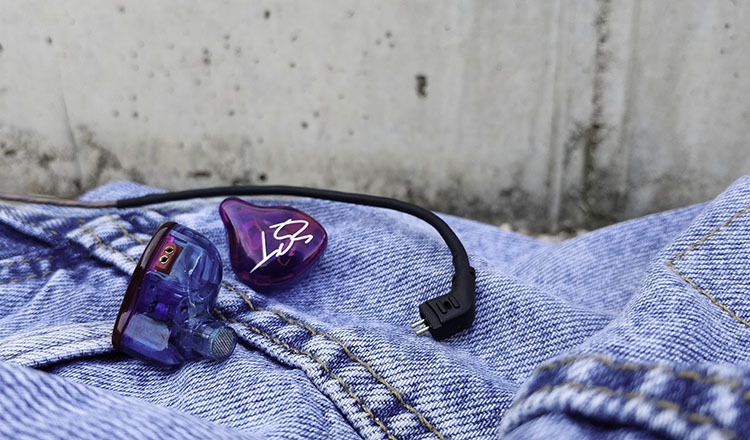 An amazing pair of slightly V-shaped earbuds that sound like a hundred bucks under $20. If you’re looking to save some money but still want a pair of quality in-ear monitors then look no further. 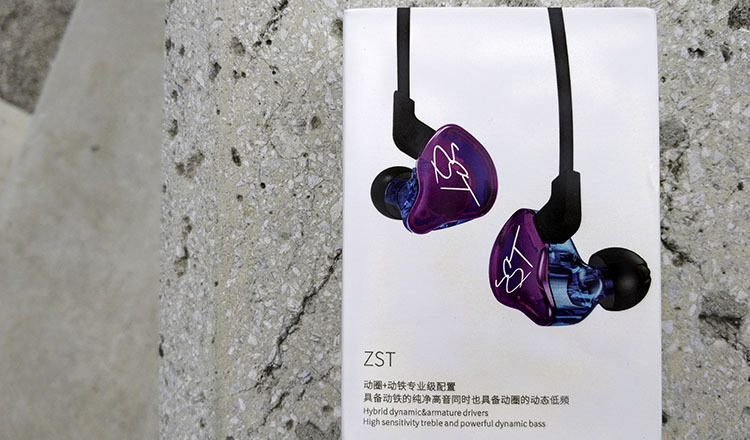 The KZ ZST are sensational earbuds for their price under $20. For all budget conscious people, these should be among your top choices. Regular, wired earbuds with in-line remote and simple remote control might not look revolutionary but consider their great audio quality for the price and you get a bargain. Get these amazing sub-$20 earbuds because KZ ZST give the highest value-for-money in this price category. You won’t be disappointed. The box looks nice and doesn’t give the impression of a budget product. To start with, the casing is fully plastic. Basically, it’s 2 pieces glued together. And while they are bigger in size they are also quite ergonomic. ZST have to be worn behind the ears and that’s exactly how they are designed. If you haven’t had earbuds like that it might take some time to get used to it. And once you do it’s just like putting in any other in-ear monitors. Thankfully, the casing is light and doesn’t pull down. They stay in the ears nicely, especially with memory foam eartips (which we recommend). Overall, you can easily wear them for hours without discomfort because they have a lightweight and non-obtrusive design. You also get memory wire with each earbud. This helps to keep them stable and in position longer. It’s a proven concept and works very well. You could easily use them for running or other sports as long as you know they aren’t officially sweatproof. In our tests, we used them in the rain a couple of times, and they held up fine. Out of the box, the earbuds come without the wires or the ear tips. You have to attach them yourself. Where are the right and left side indicators? There are no indicators of the right and left side but that’s because the design is different for each. You’ll very soon now which side is the right one just by looking at them. Moreover, the fit is very stable and combined with decent wires cable noise isn’t a problem. You can hear it when the wires are moving but only minimally which is normal for all earbuds. KZ ZST have no active noise cancellation but do have good passive noise isolation. You can read about the difference here. A lot of people confuse it. 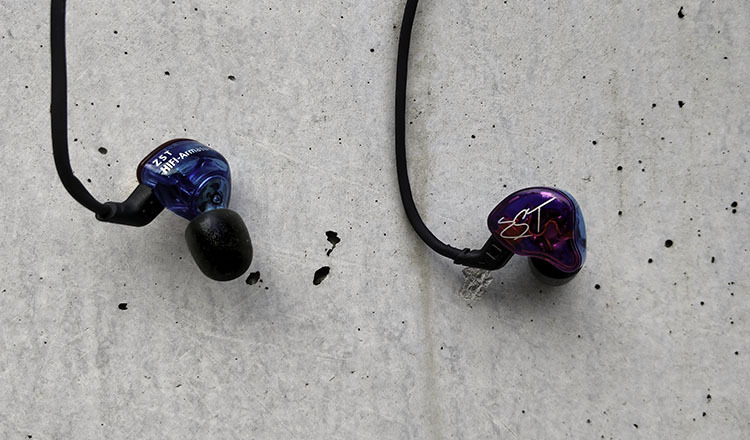 As with most in-ear monitors noise isolation is above average and with the right eartips, you’ll block most of the ambient noise. 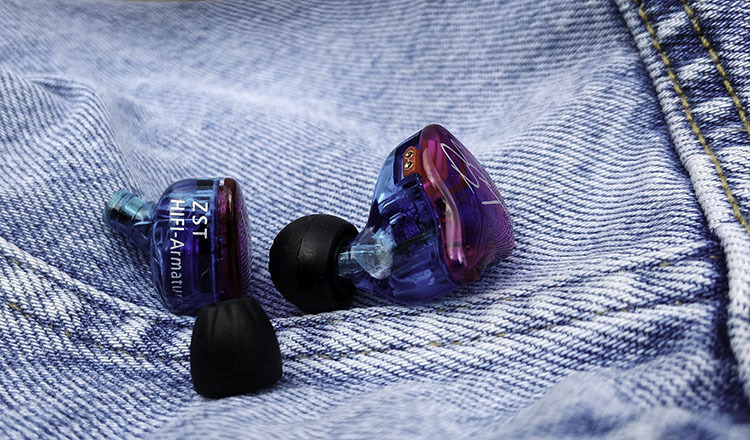 You will do best if you get a pair of memory foam eartips as they are the best for comfort, sound quality and noise isolation (we tested with T-500 foam eartips). When it comes to build quality it’s nothing special. ZST is a budget model after all but it isn’t horrible either. In fact, after searching for other peoples experiences on durability they seem to hold well for most people. 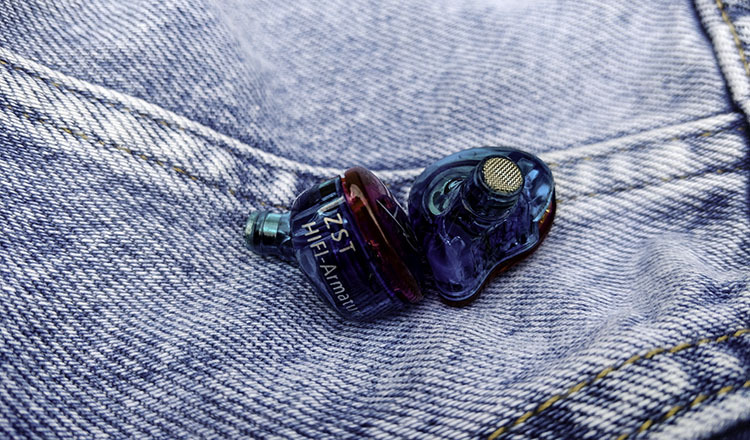 They come with a flexible 3.5mm L plug. The casing is plastic, as said before. The wires are tangle-free and protected by rubber. Not the strongest we’ve seen but not the worst either. The cables are also detachable which is always a nice feature. They could’ve charged 3 times the price and it would still be a bargain. Additionally, the L plug at the end has some good reinforcement so it doesn’t break easily. All in all, these are well built and should last you longer than what the price suggests. ZST are almost as basic as it comes. The only “features” that you get are the in-line microphone and 1-button remote control. The microphone works well enough because we didn’t get any complaints about it in our test. Most people won’t know you’re using earbuds. The 1-button remote control is as simple as it gets. You can play/pause with 1 press. Skip to next song with 2 presses. We noticed in one description that you can press it 3 to go to a previous song but couldn’t replicate it. Additionally, you can answer the call/end the call with a press when someone is calling you. And you can hold the button to fire up Google Assistant. Possibly the same works for Siri on iPhone but didn’t try it. The button demands a solid press which is what we like. Feels like it can last a long time. There’s one more thing that can be considered a feature. 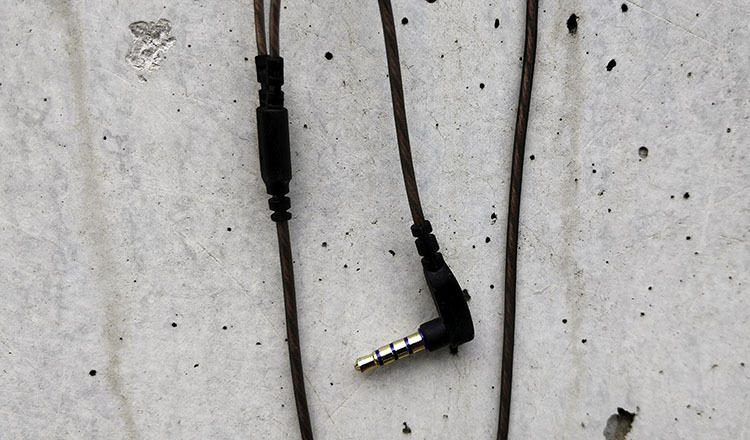 Since ZST have detachable wires, KZ sells a Bluetooth cable that can transform their wired earbuds into Bluetooth ones. We haven’t tested it yet but this is an interesting option. 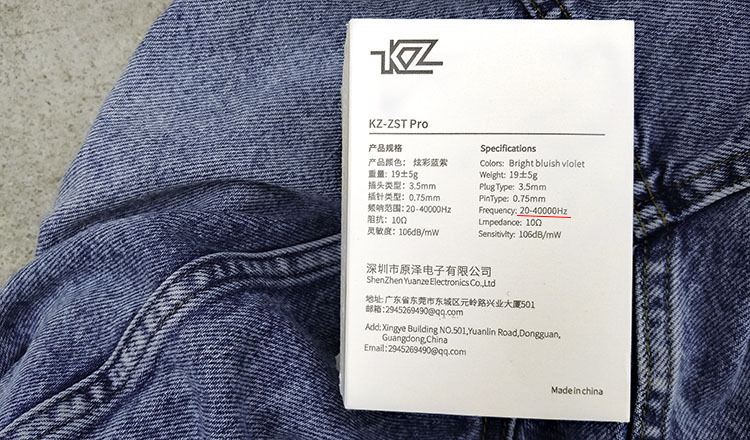 It’s common for higher-end brands to offer this option but KZ offers it for slightly cheaper. Accessories are bare bones. The only thing you get is 3 pairs of regular, silicone eartips. The eartips are black in 3 sizes. We recommend swapping them for foam ones because they perform better. Audio quality is where these really shine. 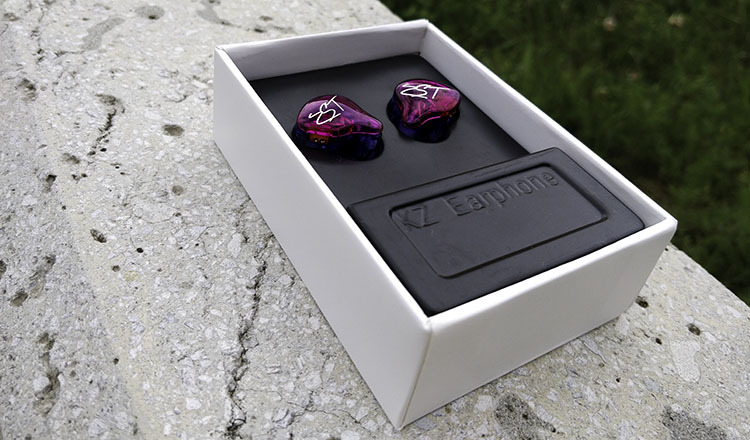 KZ ZST have a slightly V-shaped sound signature that can compare to earbuds many times the price. You can compare them to $100 earbuds. The treble is detailed and clear. Sibilance is not an issue (except at really high volumes or with sibilance-prone songs). Overall, it has a good high-end extension that will make any genres sound lively and enjoyable. The mids are decent though at times slightly subdued but you won’t noticed it if you’re not an audiophile. A trained ear might hear a lack in the middle range but it’s hard to notice. If you’re not an audiophile you won’t even know. In the end, the bass response doesn’t disappoint either. It’s punchy and deep with good rumble when needed. Now keep in mind these aren’t extremely V-shaped and not for pure bassheads. If you like very strong bass then you should check these. The earbuds come in a nice 2-color theme (grey also available). Moreover, the soundstage is good. Not amazingly spacious but better than without your average cheap earbuds. You can hear instrument separation and get some special awareness. Pretty good for a pair of cheap earbuds. Now we really like these and think the sound is great for the price. If you’re an audiophile you will find faults with it but if you just want to enjoy some good music with an enjoyable quality you’ll be very happy. You can enjoy every music genre, be it classical or bassy hip-hop. You’ll get a consistent, slightly V-shaped sound quality that is enjoyable and non-fatiguing. 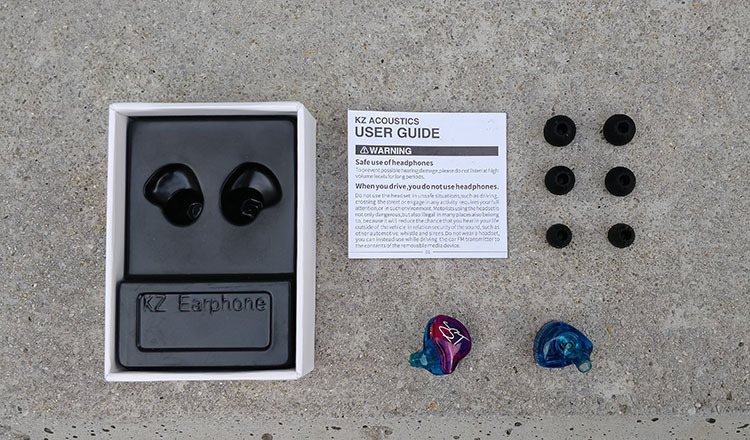 KZ ZST are one of the best choices for in-ear headphones under $20 right now. If you want great value-for-money earbuds for little money with a V-shaped sound signature you have to get them. They cost only $20 anyways.